If you live in New York City, or are just coming in for a visit, finding free Wi-Fi just got a whole lot easier. Gowex, a company specializing in setting up what it calls Wireless Smart Cities, has announced that it has deployed 1,953 Wi-Fi smart zones through out New York City. The new access points are spred out between Manhattan, Queens, Staten Island, Brooklyn and the Bronx and should fill in many dead zones that you find when not in one of the city's thousands of coffee shops. While there is no cost to using the access points, that doesn't mean Gowex is doing this out of the kindness of its heart. the FREEWiFiGOWEX network will offer speeds of 1Mb and be supported by advertising, deals with carriers to offload bandwidth from the 3G network and by offering up smart city guides. To locate the access points there are free apps both in the iOS App Store and Google Play that will direct you to where there are zones near you. Gowex plans to expand to two more cities in the U.S. this year, but it has not announced which ones those will be as of yet. GOWEX (MAD:GOW) (Paris:ALGOW) (GOW-MAB, ALGOW-NYSE Alternext, LGWXY-OTC), leading company creating Wireless smart cities (Wireless Smart Cities®) and intelligent WiFi into the transport, will offer its Free WiFi solution to New York by the deployment of 1953 WiFi smart zones in the biggest neighborhoods of the city. Thanks to GOWEX, the almost 20 million of New-Yorkers and also the 52 millions of tourists who visit the city, will have free Internet access through-out the hundreds of hotspots spread out between Manhattan, Queens, Staten Island, Brooklyn and the Bronx. Advertising revenues: by Smart Advertising platform from GOWEX both advertisers for the American market and for tourists visiting the city. America is the world's largest advertising market. Revenues from Smart City services, based, service platform also owned by GOWEX, Wireless Smart Cities ® (WSC) Platform. New York has always been considered as one of the strategic cities in which GOWEX wished to deploy its solutions. By this offer, the Company enters in the best possible way into the North American market and now reaches millions of potential users. "Offering our service in New York is a dream come true but also one more step towards our goal which is to soon cover the United States of America as well as we already cover Europe", said Jenaro García, GOWEX's CEO. "Offering free Internet in Times Square, Broadway, Fifth Avenue or Park Avenue thanks to a 100% Spanish project, is an honor", stated Jenaro García. This new step follows the recent entrance of the Company into the North American market, where it will soon be listed through an ADR program (American Depositary Receipt) enabling the company's shares to be traded on the Over The Counter" (OTC) market (Ticker LGWXY). The Free WiFi GOWEX connection will have certain technical specifications adapted to the use of New Yorkers and tourists. To access to the "FREEWiFiGOWEX" network, the users will have to previously download the GOWEX WiFi Free application, available for iOS and Android devices. This app, which is making its debut in New York in its 3.0 version, will offer among other functionalities: a smartzone map, adapted to the North American metric system, thematic new specific theme channels and city centric information pages. Furthermore, the data download will be achieved through a 1Mb speed connection for free users. The network will also allow the 3G network operators to offload the data traffic through the GOWEX hotspots and therefore help enable relieve their networks that are regularly saturated in many points of New York due to the high number of connections and users in most of these areas. Earlier this year, Google announced a Free WiFi deployment in Chelsea. The Silicon Valley giant offers free internet connection to the 2.000 citizens and thousands of visitors in this district. With the GOWEX project, Free WiFi now extends to all the neighborhoods in the City. 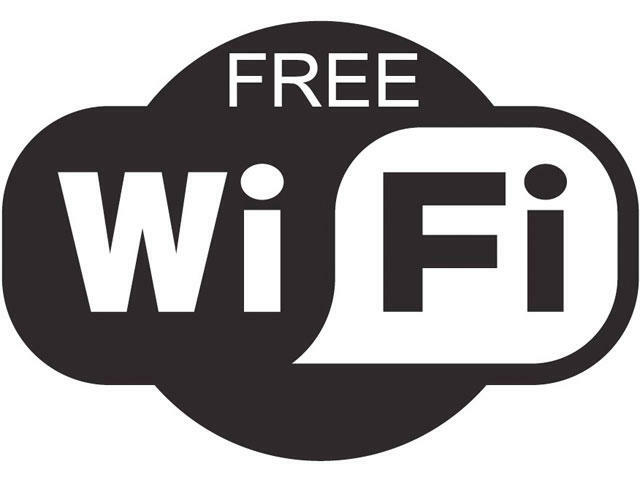 New York now stands as a reference in terms of Free WiFi around the world.